Our app will fly your DJI drone with your iOS or Android device. Create and analyze elevation maps and 3D models. Share maps with other users and tools to put insights into action. Drive productivity with 3x faster turnaround times. Whether you’re inspecting a new building or investigating an insurance claim, it’s important to capture accurate data quickly. Drone mapping is a powerful new tool for inspection — allowing you to safely and easily capture a high-resolution aerial view of a site in minutes. Back in the office, or out in the field, it’s easy to analyze high-fidelity reconstructions of sites, make measurements and share comments to help you make better and faster decisions. 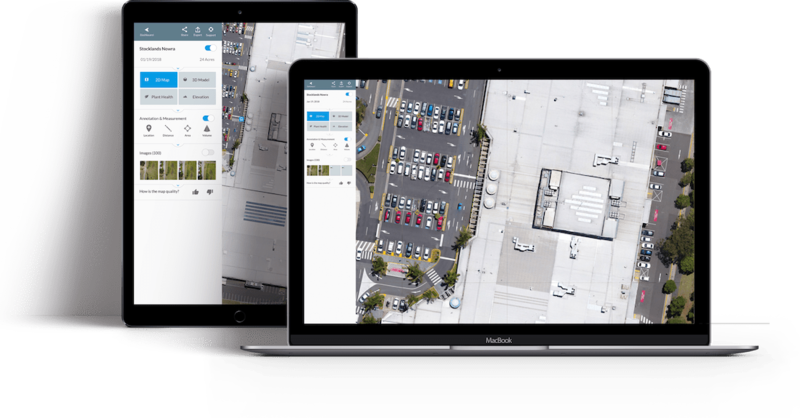 We’re excited to partner with DroneDeploy to help businesses get the most out of their DJI drones. Roof inspection hasn’t changed significantly over the past decade. Introducing safe and accurate drone-based 3D models to replace survey wheels and measuring tapes is a step forward for the industry. Learn from an active community of drone operators in our forum. A highway inspection project leverages drone-based 3D modeling on a massive scale. The way I see it, DroneDeploy is insurance for the insurer. By being easy to use and automating the data collection, DroneDeploy saves time and allows the experts to focus on their core job - assessing and valuing the damages. Amplify drone data with public apps, custom applications, and enterprise APIs that connect with your existing tools. Explore our roofing apps, integrations, and partners. Generate a complete and accurate roof plan with everything you need to produce a roof or insurance estimate. High precision auto photo capture mode for modelling a residential property, includes angled double grid and two perimeter orbits. Simplify complex inspections. Store, analyze, and share your visual inspections of roofs, solar panels, and more.